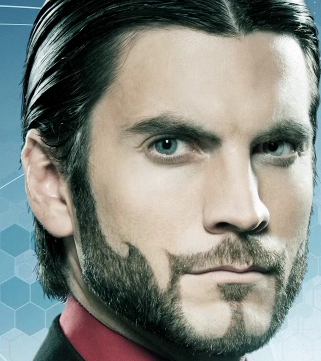 The only justification I can come up with for having facial hair is 1. to cover up a double chin, and 2. beard art a la Seneca Crane from "Hunger Games". Seriously, if beard art like this became a trend, I'd totally support it. My name is Ginger, and I approve of this facial hair. From across the country, they came to Washington with little more than mustaches and dreams. Adam Franco took the 3 a.m. train from Trenton, while Joel Hermsdorfer sped north from Norfolk, Va., then crashed on a friend's floor. By plane and bus, rail and car, they came: Dr. John Yuetter flew from Oklahoma to see what his keen economic analysis had wrought, while Dr. Aaron Perlut -- mastermind of the whole affair -- came from St. Louis. From all points of the compass they came in twos and threes, the mustachioed and the mustache-allied, carrying signs and banners and little combs. It was the Million Mustache March. "What do we want? Mustaches! When do we want them? Now!" 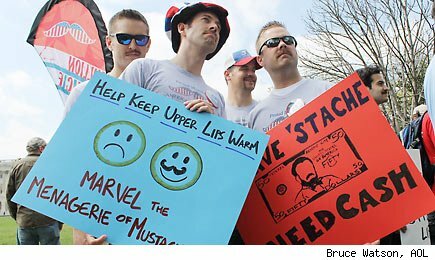 Click through our photos of the Million Mustache March here. In the weeks before the march, the Internet hummed with missives sent out to mustachioed America. That the march was real was not in doubt -- in fact, the letters and press releases were careful to state that "Hell, no, it's not a hoax." The 'Stache Act, on the other hand, was a different matter. Dr. Aaron Perlut, chairman of the American Mustache Institute, has long dedicated himself to mustache advocacy -- and, not incidentally, to having fun with the media. Some of the institute's events, like its annual "Stache Bash" and "Robert Goulet Memorial Mustached American of the Year" contest are conducted with tongue firmly in cheek. But other efforts, particularly the institute's series of almost-plausible, seemingly-academic white papers, blur the line between news and satire. Not surprisingly, some of their questionable assertions -- including their claim that Chicago is America's most mustache-friendly city, and their study that showing that that men with mustaches earn 4.3% more than their baldfaced brethren -- have even found their way into the mainstream media's reporting. The AMI's mix of mustache and myth is hardly accidental: The institute began as an inside joke at Fleischman-Hillard, the public relations firm where Perlut worked. "It was basically a few guys sitting around a table talking about how mustaches had fallen on hard times and we needed to help bring them back," he remembers. "It got out of hand." But while the AMI's is largely playful, Perlut points out that it has occasionally veered into genuine advocacy. He cites the case of Sebastian Pham, a high school student who called upon the Institute when his school demanded that he shave his mustache. "Sebastian asked us for help and we advocated on his behalf," Perlut remembers. "We got the policy overturned." And, for all its whimsy, the 'Stache Act has a basis in actual economics. Its underlying policies are outlined in Mustached Americans and the Triple Bottom Line, a surprisingly cogent white paper authored by Yeutter, a professor of accounting and tax policy at Northwestern State University. His argument -- that the financial, social and environmental benefits derived from going mustachioed justify a tax break on the implements that support the hirsute lifestyle choice. Tax policy aside, the demonstrators came from all points on the political spectrum; for that matter, the AMI's widespread power base is certainly demonstrated by the variety of politicians who have offered measured support for the bill. It got a bemused smile from Mitt Romney, a vague wave from Ron Paul, and an enthusiastic endorsement from Jimmy McMillan, founder of the "Rent Is Too Damned High" party. Legislatively, it even got a little boost from Rep. Roscoe Bartlett: One of the Maryland Republican's staffers passed the 'Stache Act along to the House Ways and Means Committee. Then again, as Justin Fox, author of The Myth of the Rational Market and editorial director of the Harvard Business Review, noted in an interview with Perlut, if the Act actually passed, it would translate into only about $62 for every mustachioed taxpayer. While the Million Mustache March was clearly directed at hirsute Americans, one of its greatest allies sports nary a hair on his upper lip. On Sunday, Scott Gulbransen, director of social media for H&R Block, stood at the front of the march, in a place of honor. Gulbransen had spearheaded the plan to make the march a reality. The famed tax preparation company -- which Gulbransen admits has a reputation for being "old and stodgy," had bankrolled the T-shirts, pins, banners and website. It was a good investment. As Gulbransen pointed out, H&R Block's involvement in the 'Stache Act "has helped us connect with younger customers. It's an opportunity to show that we have a sense of humor, and that we don't take ourselves so seriously." The campaign has already borne fruit: as Forbes reported earlier this month, Block's "Buzz score" among the coveted 18-49 year old demographic has more than tripled. That puts the venerable tax company neck-and-neck with TurboTax, a slick competitor that was seemingly uncatchable until the 'Stache Act entered the national conversation. H&R Block isn't the only organization to see its prospects change because of the AMI. On Sunday, the institute partnered with Millions From One, a group dedicated to bringing clean drinking water to poor villages around the world. "We liked their goal of raising funds to dig wells in Africa, and wanted to help," he explains. "We also liked the alliterative way that 'Millions From One' went with our 'Million Mustache March.'" Alliteration or no, the partnership with Millions From One has some real impact: For every person who marched on Sunday, uploads a mustached photo to the 'Stache Act's Facebook page, or signs a petition in support of the proposed legislation, H&R Block has agreed to make a donation to the charity. As it wended its way to the White House, the Mustache March stopped short when a police car, siren blazing, swerved across its path. The marchers halted, their chants went silent. "Do we have a permit?" someone stage-whispered from the middle of the crowd. The police car cut off its siren as it slowly pulled in front of the column of marchers. Then, with a sharp breeeet!, it began to inch forward, leading the cheering marchers ahead. "Don't filibuster our cookie dusters!" "Support our 'staches! Shave our taxes!" "It's there! It's hair! Get over it!" Soon, more motorcycle-straddling policemen were blocking side streets, protecting the demonstrators. While the Washington, D.C., police often assist marchers, it was hard to miss the enthusiasm with which the officers joined the parade -- or the thick, brushy mustaches that many were sporting. Perlut is close-lipped about the AMI's next move, although he is quick to point out the growing popularity of the group. "We have 20,000 people on our mailing list, our website has received hundreds of thousands of visitors, and we have thousands of fans on Facebook," he smiles. "There's a lot of interest in a think tank that revolves around mustaches." In celebrity news, who in their right mind would think Ashton Kutcher would be a good choice for playing Steve Jobs in a movie? Apparently Steven Wozniak, though it is unclear whether or not he is in his right mind. He did once date Kathy Griffin, after all. Really? Ashton Kutcher as Steve Jobs???!! 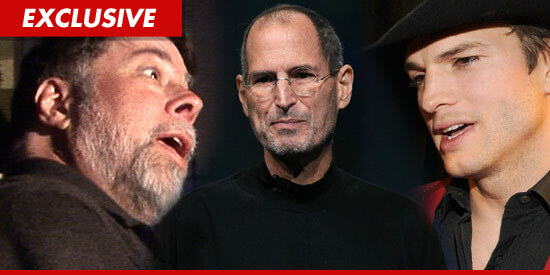 Steve Wozniak is officially endorsing Ashton Kutcher to play Steve Jobs in an upcoming movie about the Apple co-founder ... telling TMZ, "I'm glad that he's onboard." The flick -- which begins filming in May -- will reportedly chronicle Steve's journey from "wayward hippie to co-founder of Apple." Now, Wozniak tells us, "The fear that many might have is that Ashton was selected because he's 'hot' right now. But I feel that his selection was done in the most professional manner. And I'm glad that he's onboard. I think he'll put a lot into it and that he cares about this particular subject." Apple's employee #2 adds, "It's almost too bad that Steve Jobs is gone. His opinions and guidance, as to the story and film crew and cast would have been invaluable." In other news, Kyra Sedgwick doesn't need to play Six Degrees of Kevin Bacon, because thanks to Henry Louis Gates Jr. and his geneology show, "Finding Your Roots", he has uncovered that the husband and wife of 23 years are in fact distant cousins. Why couldn't I be distantly related to Kevin Bacon too, instead of being related to Dr. Mengele? Not fair. Who hasn't played Six Degrees of Kevin Bacon – that game in which it appears everyone has a link to the handsome actor? But Bacon's own wife of 23 years (and mother of their two, son Travis, 22 and daughter Sosie, 19), Kyra Sedgwick, has more of a link to her husband than she or anyone else might have imagined. They are distant cousins. The revelation comes courtesy of the Sunday night PBS show on genealogy, Finding Your Roots. The program, which uses DNA searches, is hosted by Harvard scholar Henry Louis Gates, Jr., who, reports Zap2It.com, says the married couple "are indeed distant cousins. So talk about six degrees of separation, right?" As for what good all this uprooting of family trees can do, Gates is also quoted as saying, "I want ... Americans [to] realize how united we are as a people. ... There's so much animosity ... and one of the things that I want the series to do is to show that, deep down, we are all Americans. We've been sleeping together from the very beginning of the country." Moving on, while a couple of these are photoshopped, many of them are not, which gives us all good reasons to stay inside and sit all day. It's a dangerous world out there, people. 10 photos that justify sitting inside all day. Every now and then one can't help but wonder what life might be like away from the safety of our cubicle and homes. Let us take this opportunity to assure you that it's terrible. Nature is, for lack of better words, a cruel whore and as these photos show, she doesn't suffer well the whims of people who want to "experience" her. So sit back, take a breath of filtered air, and enjoy the misfortunes of these poor souls. 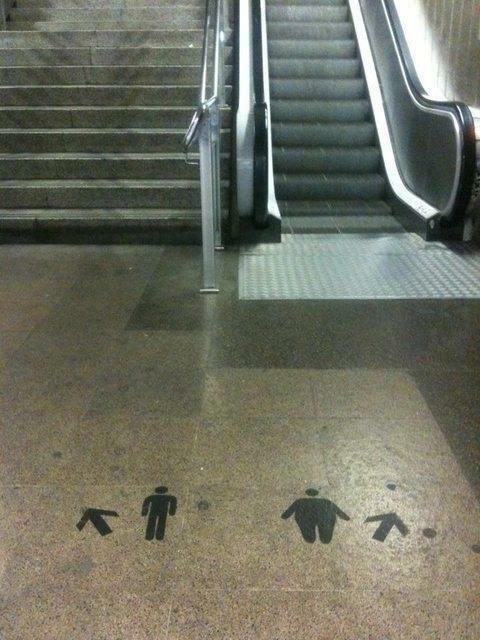 Hey, WTF?!! Who gave my children permission to play with Lucifer's testicles? Wait, are you telling me colored Easter eggs are really the devil's testes? Gah! 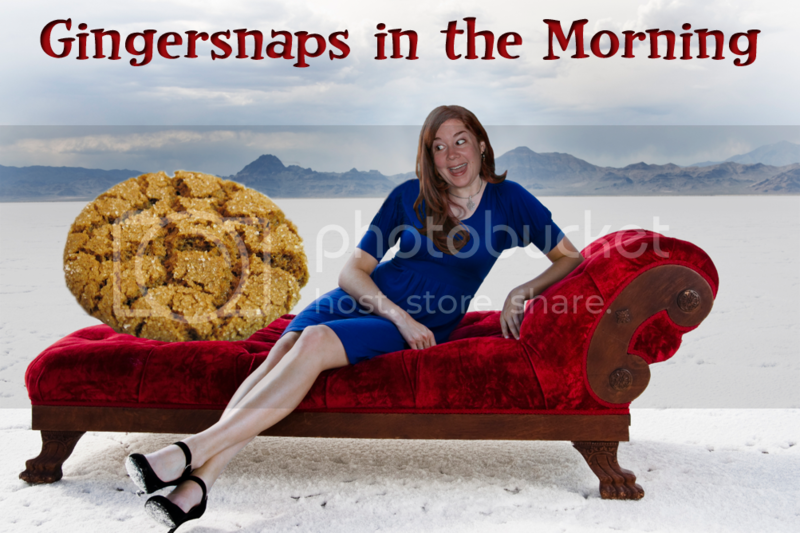 I'm never eating one of those again! Most of the candy forest set in the original Willy Wonka and the Chocolate Factory was actually edible! Talk about dedication to your craft. The director wanted to make the kids' reactions to the movie set as realistic as possible. The big candy forest set with the chocolate river was built to be realistic and completely edible. The chocolate river was real, the giant mushrooms were filled with whipped cream. The trees had actual chocolate. The director wanted the kids and parents to have such a realistic reaction that he didn't let them see the set until they filmed them looking at it for the first time. One funny thing is that the cup that Gene Wilder bites at the end of the song was actually NOT edible. He spat out the wax he bit off. It was soon replaced by a sugar one. And where is the love for those of us who prefer to wear goatees or beards instead of mustaches?? Will we get that tax credit?? I'm not sure how I feel about Ashton as Steve Jobs. Can he handle a serious role? And can somebody tell me how I can get to Willy Wonka's candy forest please????? I can almost hear the Australian accent of that shark behind the two divers. Of course, that may also mean I have watched Finding Nemo WAY too many times! Now that a mustache tax credit has been proposed, I have to wonder if male strippers are able to claim their chest waxing and manscaping as write-offs. Oh Carolyn... can you imagine? Manscaping/Brazilian stimulus package? Bwahahahaha! I saw that picture and then asked my mom if she was okay with letting me play with Lucifer's testicles. She said yes. I'm glad she let me play with testicles for 20 years. That is the sexiest facial hair. Mhm. Dig it. 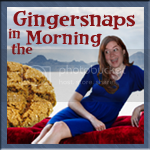 Meghanface, I'm so glad your mom is okay with having let you play with Lucifer's testicles for the past 20 years. I will be letting my own kids play with them on Sunday.